Schlumberger holds strong in 2016 results (0) January 23, 2017 Oil and gas services provider Schlumberger has recorded an increase in revenue in the fourth quarter of 2016 upon release of its full year results. New Zealand company on track to develop Pilbara mine (0) January 23, 2017 A new $5 billion iron ore project is on the cards for the Pilbara, set to create more than 12,000 jobs for the region. 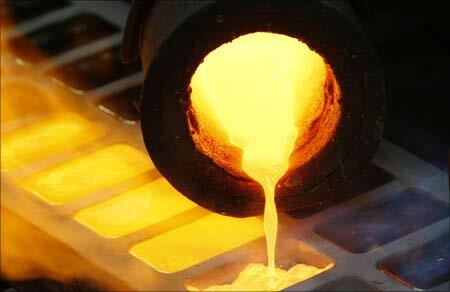 OceanaGold pours first gold at US mine (0) January 23, 2017 Dual-listed OceanaGold Corp has poured first gold from the Haile mine in South Carolina, United States. 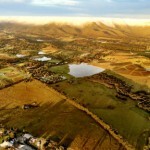 Ardea to list on the ASX next month (0) January 23, 2017 Heron Resources spin-off, Ardea Resources, will list on the Australian Securities Exchange (ASX) in February by raising up to $6 million from an initial public offering (IPO). 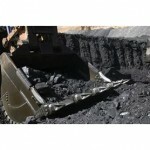 New Hope for coal mine expansion after federal breakthrough (0) January 23, 2017 New Hope Group has finally received federal approval for the $900 million expansion of its New Acland coal mine in Queensland, a decade after first proposing the growth project. 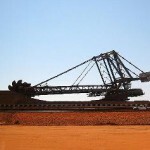 Moody’s lifts Fortescue rating on back of iron ore strength (0) January 20, 2017 Moody’s Investor Service has upgraded Fortescue’s (FMG) credit ratings amid the higher iron ore price. 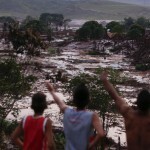 BHP, Vale negotiate Samarco clean up costs (0) January 20, 2017 Vale, BHP Billiton Brazil and Samarco have entered a preliminary agreement with Brazil’s Federal Prosecutors’ Office over remediation fees following the Samarco tailings dam failure. Boyne aluminium smelter poised to slash workforce, lower production (0) January 20, 2017 Rio Tinto’s Boyne Smelters (BSL) is set to announce a round of job cuts after it revealed plans to reduce production. 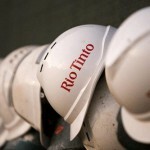 Rio Tinto’s latest Amrun contract to create 150 jobs in Queensland (0) January 20, 2017 Rio Tinto has awarded a $70 million bulk earthworks contract to civil engineering firm QBirt for the development of mine infrastructure at the Amrun bauxite project in northern Queensland. South32 overcomes challenges to keep production targets in reach (0) January 19, 2017 Despite performance challenges South32 believes it remains on track to achieve the 2017 financial year production guidance set at most of its operations. Samarco restart ‘probable’ in March (0) January 19, 2017 Brazil’s mines and energy minister Fernando Coelho Filho has suggested a restart of production at Samarco is likely in March. EnerMech acquires electrical supplier EPS Group (0) January 19, 2017 Engineering company EnerMech has acquired oil and gas electrical services supplier EPS Group in Australia and the Americas. 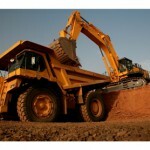 Caterpillar to expand range of autonomous trucks (0) January 19, 2017 Caterpillar has launched a project that will see the mining equipment manufacturer move further into autonomous technology. 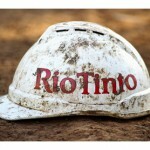 Rio Tinto, Chinalco end exploration joint venture in China (0) January 19, 2017 Rio Tinto and Aluminium Corp of China (Chinalco) have reportedly terminated their joint venture set up to explore for copper. 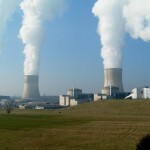 Struggling uranium market pushes ERA to another impairment (0) January 18, 2017 Rio Tinto subsidiary Energy Resources of Australia (ERA) is anticipating it will report a $231 million impairment for 2016 as lower uranium prices continue to impact the company. 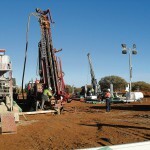 RCR Tomlinson secures EPC contract at Pilbara lithium project (0) January 18, 2017 Lithium developer Pilbara Minerals has awarded an engineering, procurement and construction (EPC) contract at the Pilgangoora project in Western Australia to RCR Tomlinson. Hexagon Mining snaps up Perth-based tech company MiPlan (0) January 18, 2017 Hexagon Mining has acquired Perth-based technology company MiPlan, a developer of mobile software applications for field data collection, fleet management, production management and reporting. Atlas Copco plans to spin-off mining division (0) January 18, 2017 Swedish equipment manufacturer Atlas Copco is planning to split into two companies next year, with its mining and construction tools division shaping as the basis of a new entity. 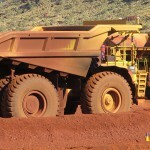 Rio Tinto boosts iron ore shipments as Pilbara mines lift output (0) January 17, 2017 Rio Tinto has cited a three per cent increase in Pilbara iron ore shipments in 2016 compared to 2015. Fortescue locks in Gaines as new CFO (0) January 17, 2017 Fortescue Metals Group has appointed one of its directors, Elizabeth Gaines, to the role of chief financial officer. WA-based Kalamazoo Resources lists on the ASX (0) January 17, 2017 Western Australia gold and copper explorer Kalamazoo Resources has listed on the Australian Stock Exchange (ASX) after successfully raising $5 million in capital. 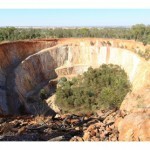 WA approves Cameco uranium project despite environmental concern (0) January 17, 2017 Cameco’s proposed Yeelirrie mine in the Goldfields region of Western Australia is the latest uranium development to be approved by the state government. 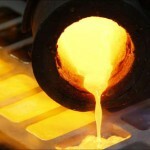 Endeavour, Acacia Mining in talks over possible merger (0) January 17, 2017 Gold companies Endeavour Mining and Acacia Mining are discussing a possible merger that could make one of the largest precious metal companies in Africa. 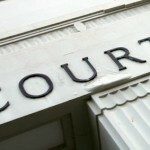 Ozcon heads into voluntary liquidation (0) January 16, 2017 Industrial supply company OZCON Industries has been placed in voluntary liquidation after letting go of 92 workers last week. 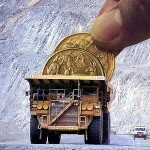 Rio Tinto abandons Mexican tie-up with Azure (0) January 16, 2017 Rio Tinto subsidiary, Kennecott Exploration, has walked away from a potential joint venture with Azure Minerals at the Promontorio copper-gold project in Mexico. New Indonesian mining laws to impact Australian nickel companies (0) January 16, 2017 Australian miners are likely to be affected by changes made to Indonesia’s mining policy for exports of minerals including nickel and bauxite. Goldcorp sells Mexican mine for nearly $US440m (0) January 13, 2017 Goldcorp has entered an agreement to sell its Los Filos mine in Mexico to Leagold $US438 million. Queensland industrial supplier closes, 92 jobs lost (0) January 13, 2017 More than 90 workers will lose their jobs today after industrial supply company OZCON closes its Queensland business. Remsafe collaboration with FLSmidth to deliver new opportunities (0) January 13, 2017 Australia’s Remsafe has secured a collaboration agreement with mine equipment manufacturer FLSmidth. 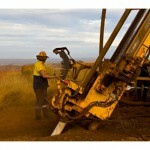 Echo expands gold footprint with Metaliko takeover (0) January 13, 2017 Echo Resources has bolstered its gold portfolio in Western Australia after completing a takeover of Metaliko Resources. SEW Eurodrive to deliver advanced load testing capability to Queensland (0) January 13, 2017 SEW-EURODRIVE’s new service centre in Mackay will include an advanced load testing facility for gearboxes and complete drive assemblies that will provide breakthrough capability to the mining industry in Queensland. Intermin secures gold prospects in WA’s Goldfields (0) January 12, 2017 Gold explorer Intermin Resources has acquired the Kanowna North project and a new exploration prospect at the Yarmony project in the Goldfields region of Western Australia. 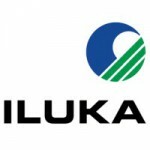 Danakali awards Colluli potash contract to Fluor (0) January 12, 2017 Australian developer Danakali has awarded Fluor with a front-end engineering, design and optimisation (FEED) contract at the Colluli potash project in Eritrea, East Africa. 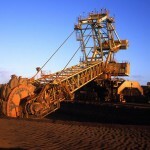 Australian exploration budgets fall to a decade low (0) January 12, 2017 Exploration budgets in Australia continue to fall, according to a new report from S&P Global Market Intelligence. 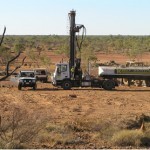 Dacian Gold launches construction at Mt Morgans (0) January 12, 2017 Construction has started at Dacian Gold’s Mt Morgans project in Western Australia following the receipt of several WA Government approvals. Iron ore sails past $US80 yet again (0) January 11, 2017 The iron ore price has jumped above $US80 once again amid a subtle start from China’s smaller mining players. 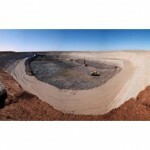 Diatreme Resources gets environmental nod for mineral sands mine (0) January 11, 2017 WA environment minister Albert Jacob has approved the development of Diatreme Resources’ Cyclone zircon project in the state’s Eucla Basin. Paladin addresses financial position with complex restructure (0) January 11, 2017 Paladin Energy is planning an extensive financial restructure as it continues to face challenges in the global uranium market. Australia to lead Asian growth in LNG production (0) January 11, 2017 Led by increased liquefied natural gas (LNG) production capacity in Australia, Platts Analytics has forecast a 16 per cent rise in Asian output in 2017. Schlumberger expands offering with Peak Well Systems acquisition (0) January 10, 2017 Schlumberger has acquired Peak Well Systems, a Perth-based company focussed on the design and development of downhole tools for flow control, well intervention and well integrity. 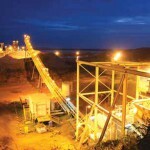 Gascoyne Resources purchases Dalgaranga gold project (0) January 10, 2017 Gascoyne Resources has completed the purchase of the Dalgaranga gold project in Western Australia, moving to 100 per cent ownership of the operations. Toro secures environmental approval for Wiluna uranium expansion (0) January 10, 2017 Toro Energy’s expansion of the Wiluna uranium project has received environmental approval from the Western Australian government. 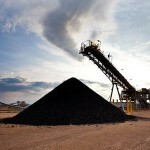 Coal, gas drive $1.6 billion increase in Queensland exports (0) January 10, 2017 Queensland has recorded a $1.6 billion increase in exports, driven by the rising value of hard coking coal and liquefied natural gas exports. WA company acquires Congolese gold project (0) January 10, 2017 Western Australia based company Vector Resources has completed the acquisition of the Maniema gold project in the Democratic Republic of Congo (DRC). 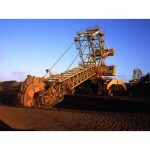 Queensland METS sector receives government funding boost (0) January 9, 2017 The Queensland Government has provided a $2.7 million investment in the state’s mining, equipment, technology and services (METS) sector. Commodities rally set to lift Australian export earnings to a record (0) January 9, 2017 Improved commodity prices are expected to push Australia’s mining and energy export earnings to a record in 2016-17, according to the Department of Industry, Innovation and Science. 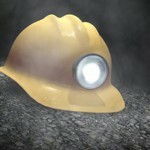 Up to 500 jobs expected at new QLD coal mine (0) January 9, 2017 Plans for the Styx Coal project in Queensland have commenced, expected to create up to 500 jobs in the region. 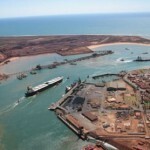 Port Hedland stamps monthly delivery record (0) January 9, 2017 Port Hedland has set a new monthly throughput record, delivering 44.5 million tonnes in December 2016, a 17 per cent increase from the same month last year. 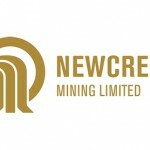 Agriculture business offers jobs to retrenched Stawell gold mine workers (0) January 6, 2017 Nectar Farms aims to provide job opportunities for the retrenched Stawell gold mine workers following the operation’s closure last year. Estrella Resources acquires Mt Edwards Lithium (0) January 6, 2017 Estrella Resources has completed the acquisition of Mt Edwards Lithium after a shareholders meeting on December 28 2016. DMP grants mining lease for WA gold project (0) January 6, 2017 The Western Australian Department of Mines and Petroleum (DMP) has granted Echo Resources a mining lease for the Julius gold project. Merlin Diamonds unearths Australia’s fifth largest diamond (0) January 6, 2017 Merlin Diamonds has discovered a 35.26 carat brown diamond at the Merlin diamond mine in the Northern Territory, the fifth largest diamond unearthed in Australia. Emerson launches reservoir modelling software (0) January 5, 2017 Emerson Automation Solutions has unveiled the Roxar API (Application Programming Interface), an extensibility solution for reservoir modelling that complements its Roxar RMS software. 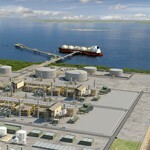 Oxair wins services contract for Prelude LNG facility (0) January 5, 2017 Perth-based company Oxair Gas Systems has secured a contract to maintain the nitrogen generator plant on-board Shell’s Prelude floating liquefied natural gas (FLNG) facility. Water sealing barrier for improved blasting released (0) January 3, 2017 Australian blasting company BlastBoss has released Dryshot, a structural water sealing barrier to improve blasting performance. WA’s largest gas storage facility to be built (0) January 3, 2017 Duet Group subsidiary DBP Development Group (DDG) is constructin what the company calls the largest gas storage facility in Western Australia. 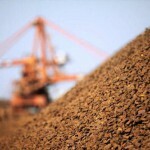 Alcoa inks major bauxite export deal (0) December 29, 2016 Alcoa World Alumina and Chemicals has secured a contract to supply around 400,000 bone dry metric tonnes of bauxite from its Huntly mine in Western Australia. Female engineering graduates on the rise at UQ (0) December 27, 2016 A record number of women have graduated from engineering at the University of Queensland, well above the national average. 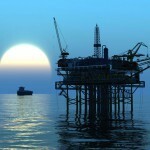 Wipro wins Woodside IT contract (0) December 22, 2016 Global information technology business Wipro has been awarded a three-year IT infrastructure services and digital transformation contract at oil and gas company Woodside. Metalicity acquires Fortescue’s WA lithium tenements (0) December 21, 2016 Metalicity has entered an agreement to acquire Fortescue’s (FMG) lithium exploration portfolio in Western Australia’s Pilbara region, including the Lynas Find North lithium project. RPM acquires rights to Fewzion software platform (0) December 21, 2016 RungePincockMinarco (RPM) has agreed to acquire a copy of the source code and intellectual property right of Fewzion’s short interval control (SIC) and work management software product. 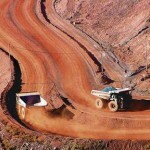 Samarco to use Vale’s tailings pit upon possible restart (0) December 21, 2016 Iron ore miner Samarco and joint venture owners BHP Billiton and Vale have entered a non-binding agreement allowing Samarco to use Vale’s Timbopeba tailings pit if it restarts operations. Queensland Government invests in the future of Mount Isa Mines smelter (0) December 21, 2016 The Queensland Government has made a $15 million offer of support for rebricking of Glencore’s Mount Isa Mines copper smelter. 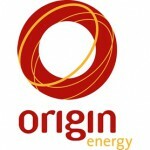 More gas exploration on the way in Queensland (0) December 21, 2016 Australian companies Bridgeport Energy and Metgasco have accepted Queensland Government offers to explore for petroleum and gas in the Cooper Basin. 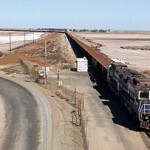 Fortescue credit rating improves with S&P upgrade (0) December 20, 2016 Fortescue Metal Group’s credit rating has been upgraded by S&P Global Ratings in a sign that the company’s productivity and efficiency initiatives are working. 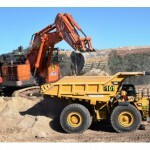 Hitachi Construction unveils $60 million facility in Perth (0) December 20, 2016 Hitachi Construction Machinery Australia (HCA) has opened a $60 million facility at its Western Australia/Northern Territory headquarters at the Forrestdale Business Park in Perth. Rio Tinto awards iron ore contract to Decmil (0) December 20, 2016 Perth-based mining contractor Decmil has secured a new contract at Rio Tinto’s iron ore operations in the Pilbara region of Western Australia. Worker dies after truck accident at Rix’s Creek (0) December 19, 2016 A mine worker has died following a truck accident at Rix’s Creek coal mine near Singleton, New South Wales last week. 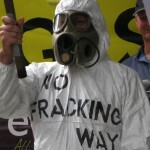 WA environment minister approves Mulga Rock uranium project (0) December 19, 2016 Vimy Resources’ Mulga Rock uranium project has been approved by Western Australian environment minister Albert Jacob, the state’s final primary approval for the project. Poor health forces WPG Resources MD to resign (0) December 19, 2016 WPG Resources managing director and chief executive officer Martin Jacobsen has resigned from the company because of poor health. MACA expands mining business with acquisition (0) December 19, 2016 Contractor MACA has acquired a majority stake in privately-owned Interquip, a provider of mineral processing solution predominantly in Western Australia and the Northern Territory. South32 drops production guidance at Illawarra coal mine (0) December 19, 2016 South32 has lowered its production guidance at the Illawarra coal operation in New South Wales following ongoing issues at the mine this year. Kingsgate to axe workers at Chatree gold mine (0) December 16, 2016 Kingsgate’s Chatree gold mine in Thailand will cease operations from January 1 2017, despite the new mineral bill allowing legal operation of mines in the country. Fortescue to lower debt by another US$1 billion (0) December 16, 2016 Fortescue Metals Group continues to reduce its debt with the company saying a further US$1 billion ($1.36 billion) will be repaid next week. High efficiency jaw crusher released (0) December 16, 2016 Superior Industries has released the Liberty Jaw Crusher, which compresses material in stone, concrete, asphalt and ore applications.